Sherry"s Stamped Treasures: Woot! Woot! The new catalogue is here! Get 2 FREE stamp sets! Woot! Woot! The new catalogue is here! Get 2 FREE stamp sets! Click here to view the 2016-2017 annual catalogue! Today's the day the new catalogue begins! The opportunity to order brand new products that will inspire you to create. It's been a few years since I've been this excited about a new catalogue - my wish list is so long and just keeps growing the more samples I see online. If you are Canadian and don't already have a demonstrator and would like a hard copy of the catalogue, email me your address and I'll pop one in the mail for you for just the cost of shipping. GET $40 IN EXTRA STAMPIN' REWARDS! 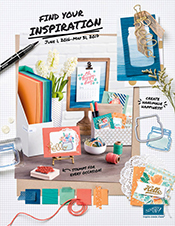 During the month of June, qualifying orders/workshops/events will receive an extra $40 in stampin' rewards. A qualifying order consists of $400 in sales (before shipping & tax) and can be placed online, at a workshop, or a private party. It's a great time to gather some friends and host a private party to celebrate the release of the new catalogue and reap the additional rewards! Contact me to schedule yours today! Bonus reward promotion is only available until June 30th, 2016! GET 2 FREE STAMP SETS! Purchase the starter kit during the month of June and you'll receive 2 free stamp sets of your choice with your kit when it arrives. That's an added value of up to $136, depending on your stamp set choices. With a brand new catalogue, purchasing the starter kit for just $135 (no shipping & no GST) is a great way to tackle that wish list at a discount. Whether your reason for joining is just to tackle some of your wish list, get a discount, meet new friends, make a little money or to start your own business, you are welcome on the Treasure Stampers team. Imagine getting $165 worth of product for just $135 and that doesn't include the bonus 2 free stamp sets if you sign up in June! You could definitely make a dent in your wish list by joining the Stampin' Up! family. There's absolutely no risk and no obligation to purchase anything further! If you are ready to give it a try, click here and shop away!